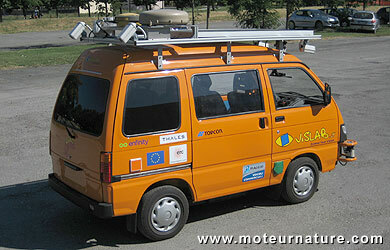 Earlier this year, a French couple did something crazy: they drove from Shanghai to Paris in an electric Venturi Berlingo. 8500 miles! All by themselves, their only belongings in a small backpack, with nothing planned: they had to find a new place to plug each night. There wasn’t any doubt that someone else would try to do it better. Faster or differently. An Italian team chose to do it differently. With more organization, several vehicles, but much less adventure. 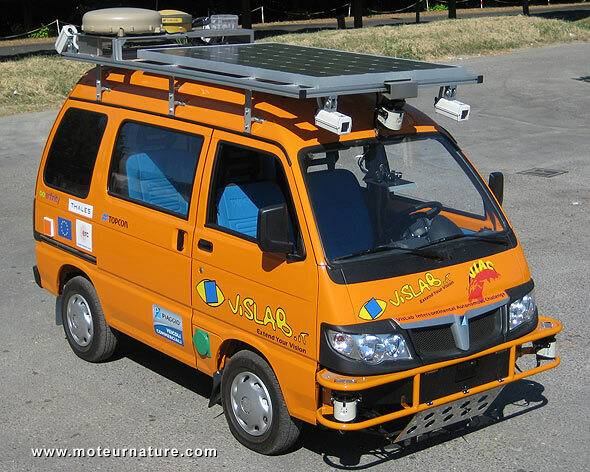 The vehicles will be electric, I recognize a Piaggio Porter, and I see a solar panel on the roof, but there’s no way that small panel could provide enough energy to power the car. And it won’t. A truck will ride with them, with a big generator aboard. It will not be green electricity, but this way the team will get a complete control of when and where it will recharge their vehicles, and that is clearly an advantage if they have a fixed schedule. The Venturi team certainly didn’t had one. Back to the pictures, these vehicles look strange. 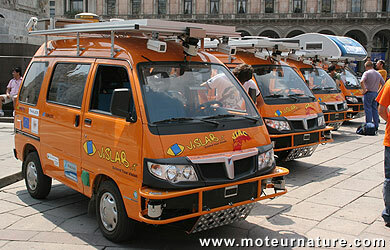 They’re very small minivans, sized for old Italian cities, but I see them outfitted with things I’m not familiar with. These are cameras, and laser sensors. I wonder what’s this for and frankly, the answer frightens me. This allows the vehicle to go without a driver. There’s a computer analyzing all the data in real time, and it tells the vehicle where to go. The computer can drive in a straight line, and it can also steer the car. Theoretically, it can drives anywhere. Being an old-fashioned guy, the trust I put in computers is limited. Yes, I’ve had bad experiences from a hard disk crash to countless software failures. I’m not the only one not to give much faith to any machine, and driverless cars are illegal on the road. 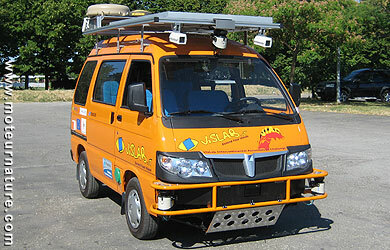 So the Italian team, scientists from Vislab, an artificial vision and intelligent systems lab at Italy’s University of Parma, asked, and obtained prior permission from all countries along the route to carry out the experiment. A driver will always be behind the wheel, watching, ready to take control in case something goes wrong, but the team expects the cars to drive by themselves for more than 90-percent of the time. Impressive, but disturbing in the same time. What do you think?